Something Worse Then The “M” Word? Welcome Autumn!!! I know, I know. My poor blog is looking rather neglected lately. After my end of the year crafting, things sort of went south. My apologies. We have had a rough winter in the Momknitter household. We have had the flu, strep, bronchitis, the stomach bug and numerous colds make their way through the house. With two kids in school, it is nonstop. And just as we were looking forward to the promise of spring and opening windows, we got snow yesterday. And did I tell you the kids are on spring break this week? Yea, Mother Nature missed the whole “spring” part! 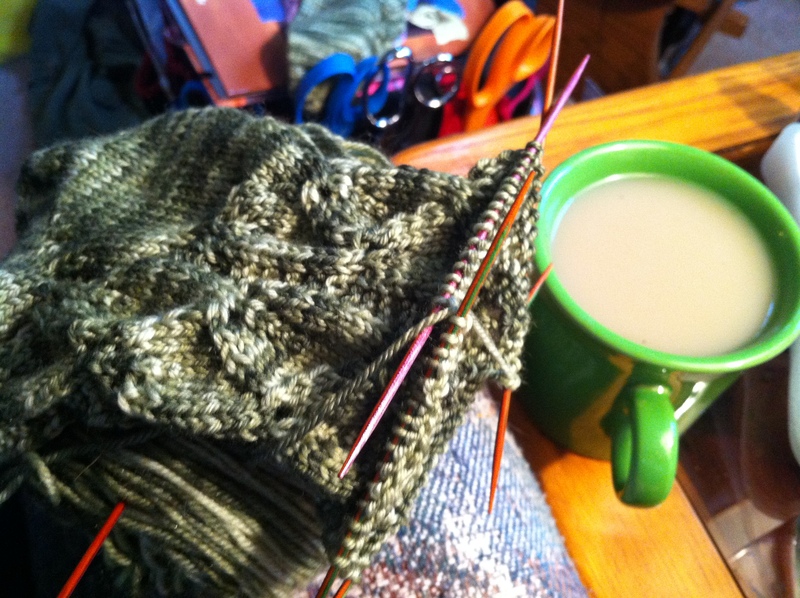 A cup of tea and my knitting – so cozy! 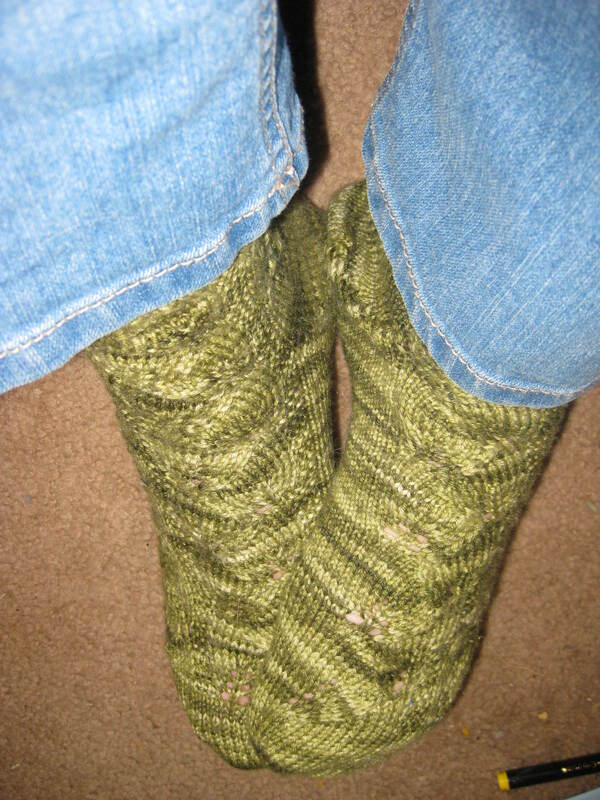 I used the book Socks a la Carte 2, Toes Up! for the pattern. This is a great book for toe up sock knitters since it gives you several cast-ons, toe options and heel options. Even if the patterns themselves were less than inspiring, the rest is great to have. These used the Turkish cast-on, a standard toe, a simple yarn-over heel and a Perle De Cotes cuff. 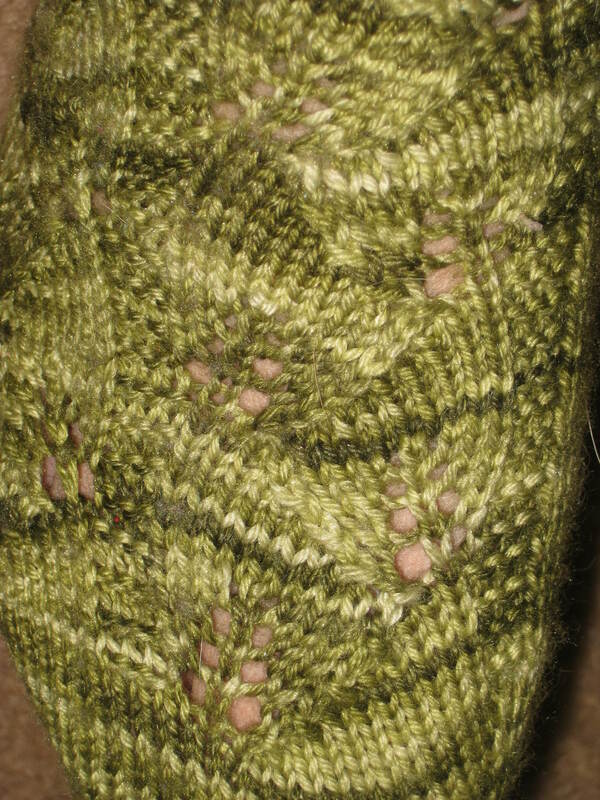 The stitch pattern is the I Be-Leaf stitch pattern. My other knitting came in the form of very tiny knitting. My daughter got her American Girl doll for Christmas. 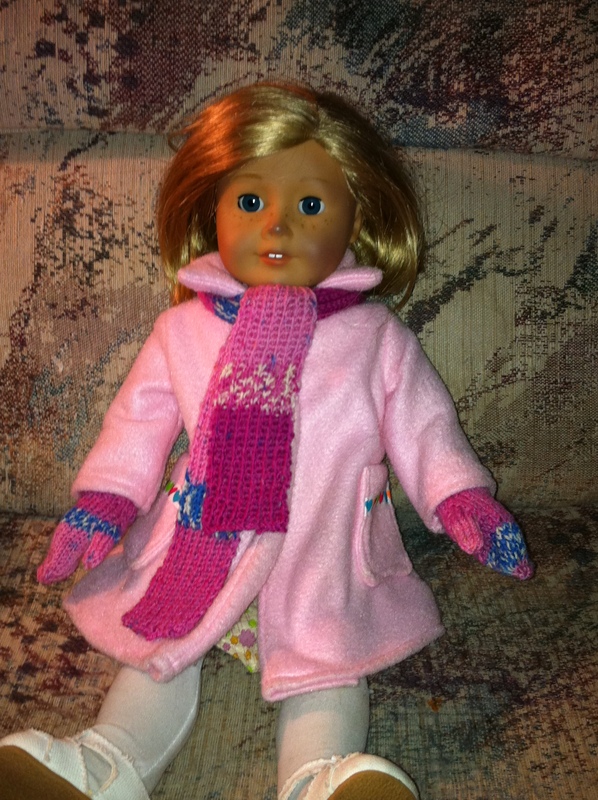 I made her a winter coat and my daughter asked for a pair of mittens. I had to oblige! I used a free pattern from Hazel Rose Looms. I also knit her a scarf. It was a basic knit two, purl two scarf. I will admit it got rather boring, but the end result was cute! So, that is about the extent of the crafting I have done this year. I am hoping things will pick up soon. In fact, I am feeling rather inspired to head to the sewing machine right now. Now, does anyone have any ideas on how to photograph feet without them looking like stuffed sausages? Still haven’t figure out how to make feet with knit socks look “right”!